This post builds on the groundwork set up in my earlier post on “Connections: How Social Capital unlocks Human Capital“. It completes the trio of practices that are greatly strengthened by adopting a wider-angle view than is common for many HR practitioners. …leadership occurs when one or more persons engage with others in such a way that leaders and followers raise one another to higher levels of motivation and morality. Their purposes, which might have started out as separate but related, as in the case of transactional leadership, become fused. Power bases are linked not as counterweights but as mutual support for common purpose. . . . The relationship can be moralistic, of course. But transforming leadership ultimately becomes moral in that it raises the level of human conduct and ethical aspiration of both leader and led, and thus it has transforming effect on both. Leadership in of it itself is profoundly relational and collective, as Burns (1978) has persuasively pointed out. This rendering of leadership and followership has provoked me to look at the phrase “field of leadership” with new eyes! It is conceivable that leadership potential is widely present, but deeply buried. To bring it forth and evoke this gift in others is likely to require significant time and persistent, earnest effort by all involved. That is the subject we will now fleetingly visit. This post will take a modest shot at exploring social capital’s catalytic role in the deliberate effort of developing leaders. Even more specifically, we will do a whistle-top tour of the world’s best known corporate university to highlight its key success factors. General Electric for decades has been the poster child for business schools. Over the twelve years though GE has faced truly daunting business challenges – the company’s current US$240 billion market capitalisation is around half of what it was at its height. Nonetheless, an indisputable GE core competency is still the way the organisation identifies and develops leaders, as the large number of ex-GE corporate high-flyers, who subsequently became CEOs elsewhere, proves. GE spends about $1 billion a year on the corporate training of its 300 000+ strong workforce. To put that sum in context: that is more than the South African government spends on training its own one million-plus workforce. The previous CEO, Jack Welch truly put Crotonville on the map. “Jack put his time and energy into developing people,” according to Noel Tichy, the management professor who helped Welch revitalise Crotonville. But the new CEO, Jeff Immelt has definitely not allowed Crotonville to go to seed. GE’s leadership effort still seek to inspire, connect and develop its current and future leaders. It does this through the “Crotonville experience” which also gives GE’s training investment a large multiplier effect. The attendees are directed to go back to their workplaces and do much the same thing – inspire, connect, and develop the people who work for them and who may not be part of Crotonville’s 10 000 annual attendees. The magnitude of this investment by participants and company is impressive. What is remarkable is the time-related aspect – both the duration of the courses and the period over which they occur. It is evident that mutual commitment is essential. Companies with rapid turnover of talented staff would be insane to make this kind of investment! And they don’t. By regularly bringing its leaders together to learn and grow, GE can steadily protect and build the social capital of this group. It is a virtuous cycle not easily copied by imitators. Legend has it that Welch only missed speaking at one top executive programme and that was because he was in hospital having a heart bypass operation. Jack did more than speak at courses, he debated with his top staff for hours on end and made sure that being at Crotonville was neither optional nor an easy ride. He, apparently, sent hand written cards to those selected for executive programmes. The card welcomed the individual, suggested that Jack was looking forward to meeting him or her and asked, should the person be unable to attend, to let him personally know, the reason for their absence. Funnily enough attendance was always 100%! Jack Welch grasped that building leadership depth requires huge collective effort, with him being the “chief cheerleader”. Even the new CEO, Jeff Immelt indicates himself as the head of the Crotonville effort. This is too important to ‘outsource’ to HRD. It takes leaders to grow other leaders. It is also a long-term socialisation process (GE top executives spend an average of 12 months at training & professional development events during an average 15 year tenure!). Not surprisingly therefore, many global organisations have given up on the idea of corporate universities. Virtual is in. e-Learning is the future. But these penny-wise organisations will not reap a great harvest. 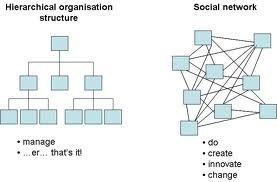 They will simply have to (use supply-chain principles to) poach other organisations’ leaders. Compare this to GE where 90% of their top 600 leaders are promoted from within! [Strategic HRM] particularly downplays the psychological contracts between the organisation and employee, and where these might diverge. By viewing the employee as an individual resource unit to be optimally configured and managed, these practices conceptually divorce employees from their social context – that is, other relations, other shaping forces and other commitments (even within the workplace). In sum, contemporary HRM practice, and the theory that informs it, is based on a thin view of mutuality. Jeffrey Alexander’s Integrative model is a useful construct to summarise much of my arguments so far. 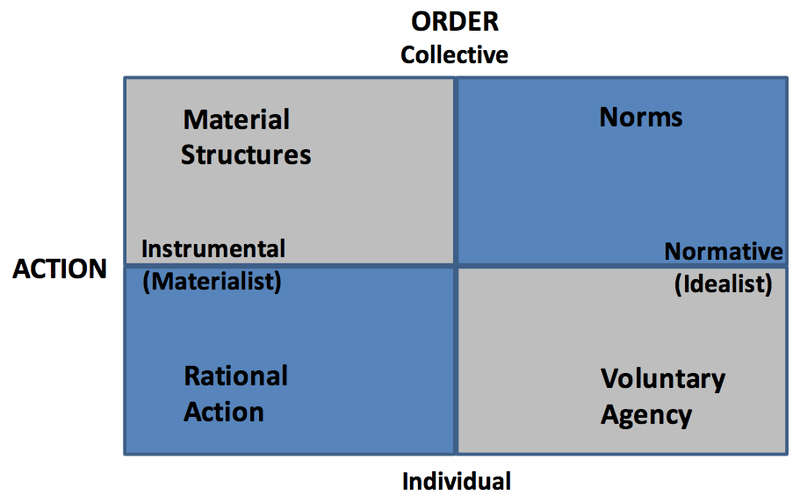 His two key dimensions involve the level at which order is created (individual or collective) and the nature of action (instrumental versus normative). The resulting 2×2 gives four windows on differing types of social analysis. 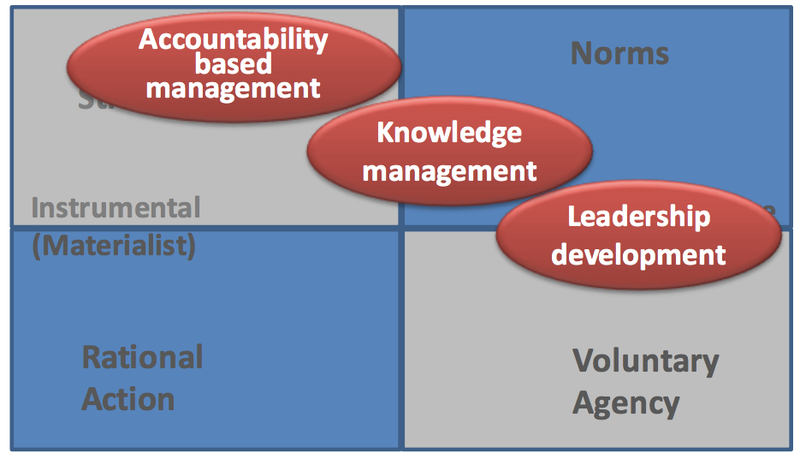 I propose that most “best practice” HRM effort is concentrated on perceiving through the lower two ‘windows’ which focus on the individual (“hard” HRM = Rational Action and “soft” HRM = Voluntary Agency). I will briefly – in the next few posts – examine three areas highly relevant to business leaders, but do so through a distinctly collective lens. I have positioned these three topics on the 2×2 to indicate not only the collective nature of these phenomena, but also the differing degrees of “rationality” inherent in them. What these three practices all share (and hence their placement at the collective level) is that they need to be catalysed by the presence of trust. No trust = no real impact! But what is this intangible thing called trust? Here I present just two. 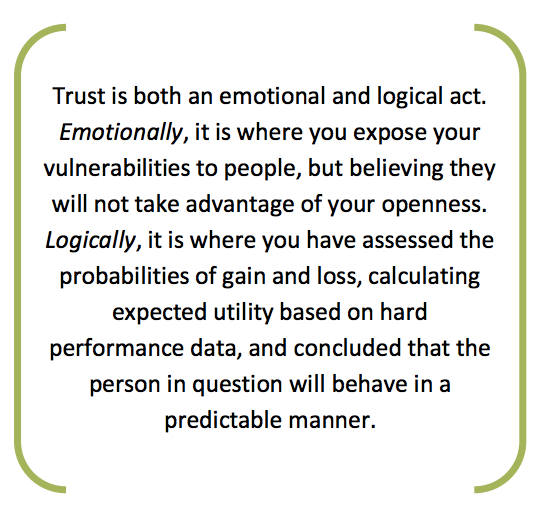 Trust is also described by Barbara Misztal as having the following three properties. Trust is the cornerstone of social capital. I will now consider in the following three posts how this usually overlooked “commonwealth” wonderfully unlocks – the typically latent promise in – human capital. Social Capital – which requires a broader and longer view – is actually indispensable to prudent “Human Capital” management. We may as a collective of humans be ready to learn something important and useful… that more is not always better. In fact less, may truly, be more! Unfortunately, most of the players generate little empathy; their wonkish preoccupations seem to allow scant space for community and societal concerns. It doesn’t help, of course, that they have also made pots of money at the expense of the average investor and taxpayer. Sometime in the future, we may look back and marvel at a society that so richly rewarded some of its best minds to labor with such powerful means toward such narrow ends. There’s something in the ether as business author after business author seeks to replace investor capitalism and the US business model with something new – or else rescue it through a more benign “enlightened shareholder value” model of corporate governance. This commentary aims to remove the myopic corporate concern with only economic value to also encompass social and moral obligations. There is a dire need to include such a sociological perspective in serious HR work. Human beings must be seen as individuals and ‘collectives’ to fully understand what makes us tick and prosper (in the widest sense of that term). Viewing employees only as “Human Capital” is shortsighted. Talent management is a simple issue. We’re trying to anticipate what the needs and the demand will be for people, for human capital, into the future, and then set up some sort of plan for meeting it. It is pretty simple. It’s the same problem that you see in lots of different parts of business: What do we think we are going to need? How are we going to go about meeting that? Capelli’s “simple” views are not seen as problematic by most “human capital” professionals I have met. These sentiments could have been related at any HR-related conference I have personally attended and it would not have elicited a lively debate. But what are the risks of such myopic behaviour by HR and other organisational leaders? To address this crisis, government and business must work together to rebuild the country’s industrial commons – the collective R&D, engineering, and manufacturing capabilities that sustain innovation. Both must step up their funding of research and encourage collaborative R&D initiatives to tackle society’s big problems. And companies must overhaul the management practices and governance structures that have caused them to make destructive outsourcing decisions. It seems the professors at Wharton and Harvard are not in agreement! The former (Capelli) seemingly advocates expediency in stewarding human capital in the face of considerable uncertainties about the future. The latter two scholars remind us how such self-serving behaviours have cost America its leadership position in the realm of industrial prowess. Unfortunately, for the USA, they will probably not be able to reverse the consequences of these previous short-term, enterprise-centric decisions! My take on this misadventure is that US enterprises were only trying to optimise the human capital side of equation, and also looking inside their own organisations only. By remaining blind to the social capital side – including what happens outside their walls – they have allowed this precious store of capital to be squandered away (that someone else had helped to build up). Their continued use of the benefits of this “commons” was not budgeted and paid for; economists of course label this “externalising one’s costs”. In other words, nobody cared about maintaining and stewarding this national asset. But what is the origin of this “myopia”? The US psyche greatly values self-reliance. Others also point to the multi-billion dollar industries that spring up around and sustain a dizzying array of global celebrities. This is the land of the rags-to-riches dream! This profound focus on individual agency can be a problem, however. By refusing to acknowledge the critical importance of relational “assets”, it effectively ascribes too little value to them. Covey’s breakthrough insight that trust is a competency is both revolutionary and immediately practical. CEOs and Chief Learning Officers will embrace The Speed of Trust as an authentic and actionable strategy – a roadmap – for increasing the effectiveness of their organizations and leaders. For a variety of reasons, life is easier in a community blessed with a substantial stock of social capital. In the first place, networks of civic engagement foster sturdy norms of generalized reciprocity and encourage the emergence of social trust. 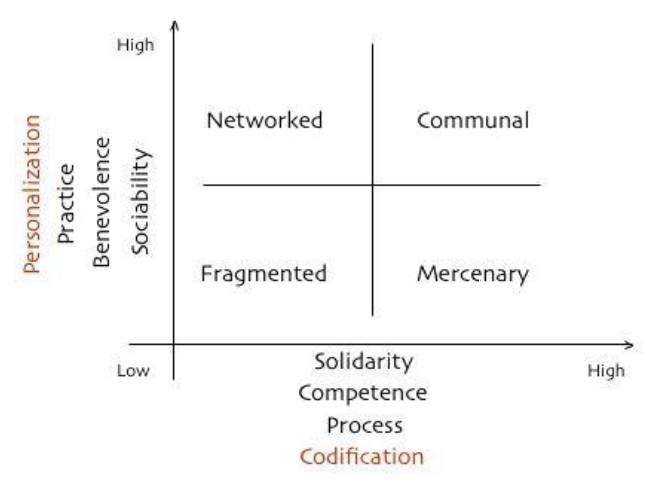 Such networks facilitate coordination and communication, amplify reputations, and thus allow dilemmas of collective action to be resolved. If physical capital is wholly tangible, being embodied in observable material form, and human capital is less tangible, being embodied in the skills and knowledge acquired by an individual, social capital is less tangible yet, for it exists in the relations among persons. When economic and political negotiation is embedded in dense networks of social interaction, incentives for opportunism are reduced. At the same time, networks of civic engagement embody past success at collaboration, which can serve as a cultural template for future collaboration. Finally, dense networks of interaction probably broaden the participants’ sense of self, developing the “I” into the “we,” or (in the language of rational-choice theorists) enhancing the participants’ “taste” for collective benefits. We all probably agree with the saying “united we stand, divided we fall”. The wonderful attraction of these social capital writings is that their detailed line of inquiry reveals the mechanics of how this principle works. That is very valuable indeed. I’ve remembered recently that I actually penned a couple of articles three years ago that speak directly to this vexing boxes vs. lines conundrum. At that time I had a noisome bee-in-my-bonnet about Human Capital vs. Social Capital perspectives. One of the hats I occasionally wear is that of a registered Master HR Practitioner. Not having being trained as a traditional HR professional though, it had for a long time dismayed me that the “unit of analysis” in HR is typically the individual (hence psychology is widely studied in HR courses, but not sociology). I then wrote these two articles in quick succession in mid 2010. In the next few days I’ll re-digest these earlier pieces and see if I can rewrite a more aerodynamic version of these earlier two “blimps”. In the meanwhile courageous explorers — who want to — can hopefully find many of the nuggets I believed I had hit upon during those heady World Cup months!